A key challenge for China’s policymakers this year will be finding ways to release liquidity into the real economy to support growth, but measures shouldn’t involve direct purchases of stocks and bonds by the central bank, a form of quantitative easing (QE) that’s been hotly debated recently. 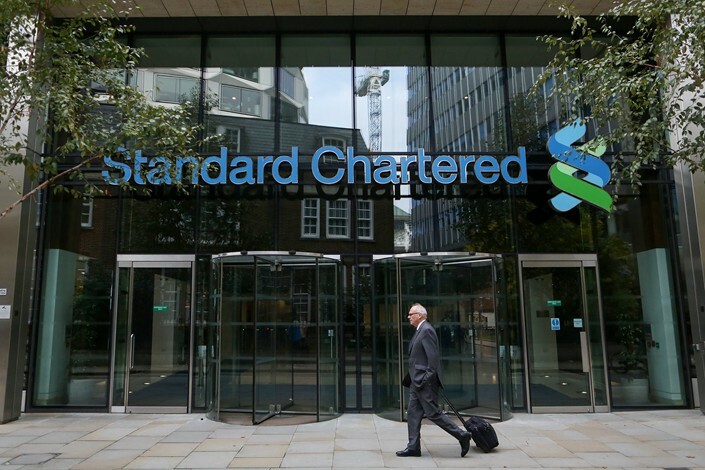 That’s according to Eric Robertsen, the head of global macro strategy and foreign-exchange research at London-based Standard Chartered Bank, who spoke in an interview with Caixin in Shanghai on Friday. 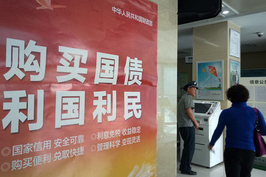 “The liquidity in China’s economy is actually trapped in the financial markets, it’s trapped among the top-tier financial institutions, top-tier insurance companies and in many ways, it’s trapped among state-owned enterprises (SOEs),” Robertsen said. “So capital being provided by the central bank is not being dispersed to the real economy. There have been calls for the People’s Bank of China (PBOC), the central bank, to undertake QE, as many of the world’s major central banks did during the global financial crisis to support liquidity and lending. It involves directly buying bonds or equities to increase the supply of money into the financial system. “I’m not convinced that it would be healthy for the economy for the central bank to just go into the market and buy government bonds,” Robertsen said. Given that yields on 10-year Chinese government bonds have dropped by 80 basis points over the past year, bonds don’t need support, he said. The PBOC has, nevertheless, been working to increase liquidity in the financial system and encourage bank lending. In January it cut the amount of money that banks have to set aside as reserves at the central bank, adding to the four cuts it made in 2018. It has also relaxed criteria for lending to small and micro business, and recently gave the green light to banks to shore up their balance sheets by issuing perpetual bonds, a type of debt that has no fixed maturity. 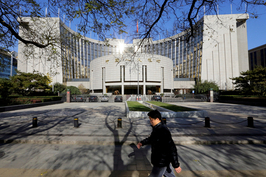 In an effort to make the bonds attractive to investors and improve their liquidity, the PBOC last week introduced a mechanism that will allow them to swap the bonds for central bank bills which can be used as collateral to borrow from the PBOC through its various lending facilities and open market operations. The PBOC will continue to add liquidity into the financial system this year through more cuts in banks’ reserve requirement ratio but will also need to find other ways to squeeze trapped cash into the broader economy, Robertsen said. The yuan depreciated 5.7% against the U.S. dollar in 2018, ending the year at 6.88, partly on the back of the strength of the dollar. 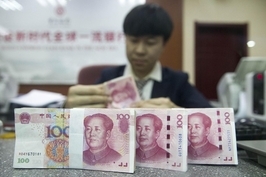 Robertsen forecast the Chinese currency will strengthen to 6.65 by the end of 2019, despite expectations of slowing economic growth, as more foreign capital invests in China’s financial markets. Chinese stocks are being included in global equity indexes and government bonds are also set to join global government bond indexes, which will bring $100 billion of foreign capital into China’s financial assets this year, he said. The bond market alone will attract nearly $300 billion over the next three years as a result of the inclusion of Chinese bonds into some international benchmark indices. “That should, in our opinion, be enough to keep the currency, at the very minimum, stable, and may allow it to strengthen against the dollar,” Robertsen said.